Filters for mounting in-line. Flow rates to 475 l/min. Working pressure 420 bar. 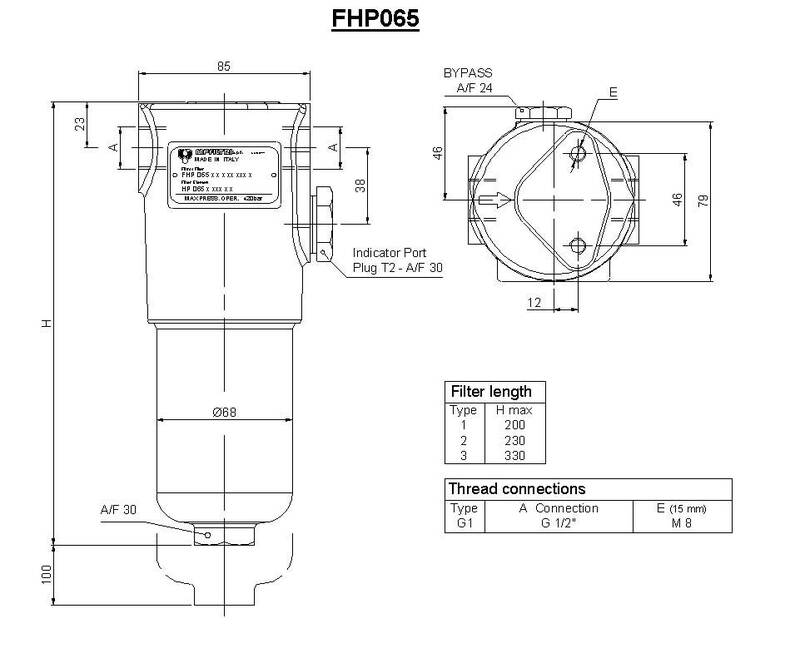 FHP series filters are designed for high pressure applications, and are installed In-line. Specifically designed for Industrial, mobile and power pack applications. 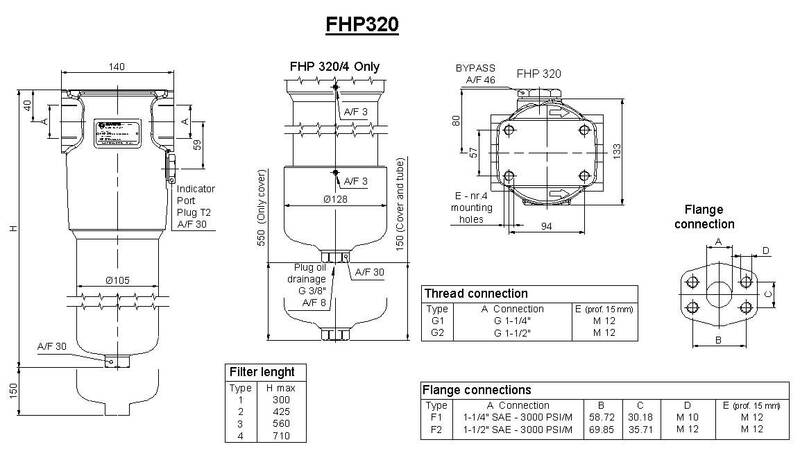 The transverse bypass valve is a standard feature of the FHP with a reverse flow valve option available on the FHP 320 and 325 series. Available in a number of sizes and element configurations to suit a wide range of applications. FHP series filters are constructed of chemical heat treated cast iron making them suitable for Mining and corrosive environments. The microfibre elements have superior dirt holding capacity and a beta ratio of 1000. Elements available in either 20 or 210 bar collapse pressure for standard or non bypass applications. 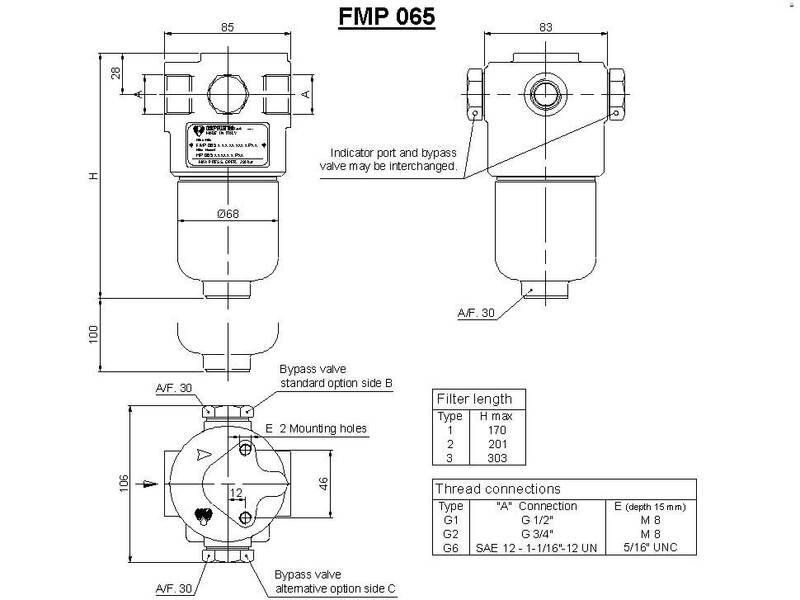 The FHP series filter utilizes the MP Filtri range of differential indicators, available as Visual, Electrical or Visual/Electrical. Suitable for Industrial applications’ Die casting and plastic injection machinery and Hydrostatic systems. 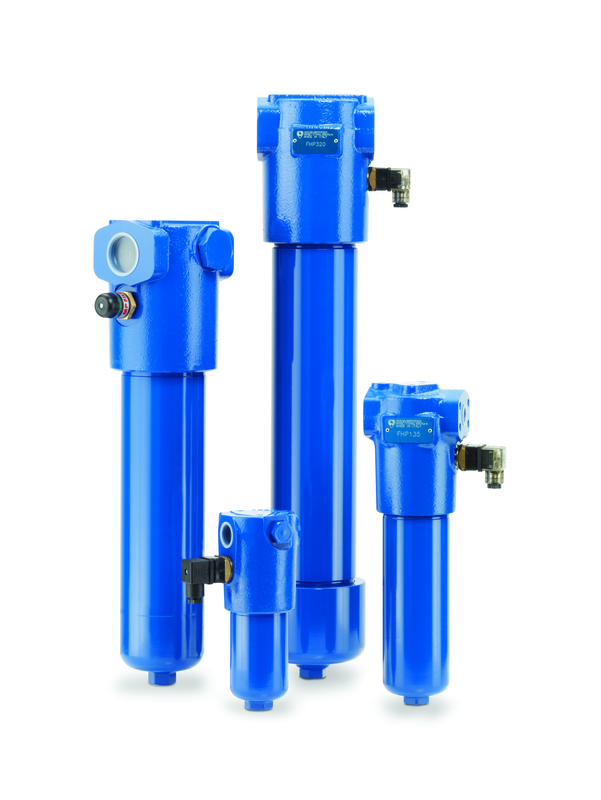 NB: Flow rates are based on oil with 30cst viscosity and pressure drop of filter assembly of 1.25 bar. string(80) "Filters for mounting in-line. Flow rates to 475 l/min. Working pressure 420 bar."